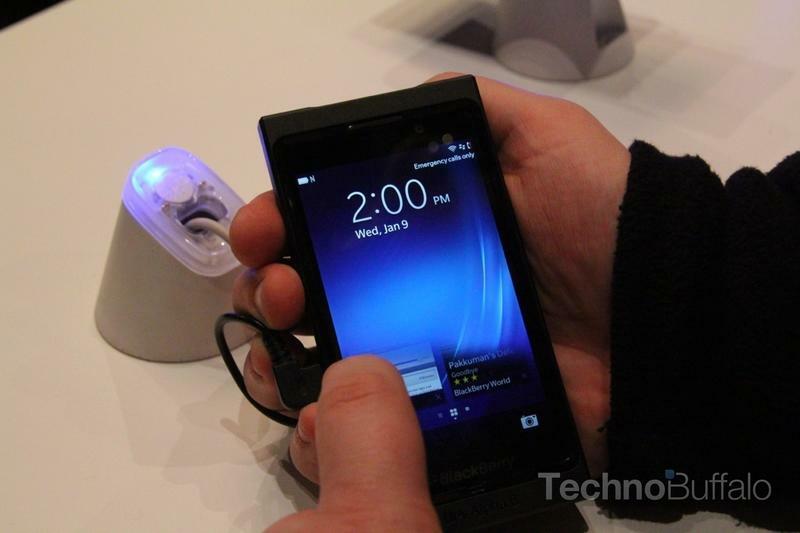 At last, the supposed specs for RIM's upcoming full-touch BlackBerry 10 device have leaked. TechRadar has acquired what it claims to be official Research In Motion training documentation, and embedded inside are the final specs for the company's L-Series, the first device released running BlackBerry 10. How do they hold up against some of the upcoming Android juggernauts? According to the document, the device will come equipped with a 4.2-inch HD display (1280×768), 2GB of RAM, 16GB of internal storage, and an 1,800 mAh battery. It's unclear what processor is onboard, so we'll still have to wait to hear that one from RIM later this month. Or maybe something will leak before Jan. 30. Additional specs provided for the BlackBerry Z10 include an 8-megapixel rear camera with single LED flash, auto focus, and 1080p video recording, and a front-facing 2-megapixel cam. There will also be Wi-Fi, Bluetooth, GPS, 4G, and NFC. The official document says that when the L-Series launches, it will come in four different variants to cope with the many different network frequencies. The BlackBerry London will support HSPA+, while the Laguna, Lisbon and Liverpool will all feature LTE. RIM is expected to unveil all its cards at the end of this month, a truly momentous occasion for the company as it looks to rebound from a largely stagnant 2012. From what TechnoBuffalo has seen in person, BlackBerry 10 is shaping up to be a wonderful new mobile platform—well thought out, crisp, fast, and very intuitive. We'll find out once and for all on Jan. 30 whether the wait was worth it.